﻿﻿Proof of use Non-use of a mark by either the registered proprietor or any licensee of the mark for a period of 5 years from registration renders it open to an action for cancellation by third parties. PCT national/regional phase, either nationally or or via ARIPO regional system. Please note that, although PCT national phase applications may be filed in Sao Tome, the procedures for prosecuting the same are not yet in place and there is currently no guarantee that enforceable rights will be granted. Consequently, it is recommendable to file ARIPO applications designating Sao Tome at this time. On 27 Nov 2015, the Government of the Democratic Republic of São Tomé and Príncipe deposited with ARIPO its Instrument of Accession to the Banjul Protocol (for trade marks). This will take effect from 27 Feb 2016, when São Tomé and Príncipe becomes a Contracting State under the Banjul Protocol, and therefore eligible for designation. 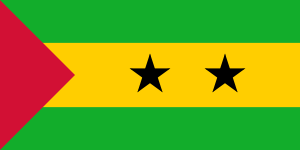 Accession to the Banjul Protocol by the Democratic Republic of São Tomé and Príncipe brings the number of member states party to the Protocol to ten (10). The Democratic Republic of Sào Tomé and Príncipe has become the most recent African country to join the regional designation of ARIPO for the purposes of patents, designs and utility models by virtue of its accession to the Harare Protocol on Patents and Industrial Designs within the Framework of the African Intellectual Property Organization (ARIPO) on 19 May 2014. With effect from 3 April 2008, Sao Tome & Principe became the 139th country to accede to the PCT at WIPO. The PCT will enter into force in Sao Tome & Principe with effect from 3 July 2008, and will be automatically designated in each PCT application that is filed from this date on.